It showcases some typical Dutch traits: land reclamation, a historic windmill, nature conservation and manmade restoration of natural values. Naardermeer is a natural lake. Between the 17th and the 19th century several attempts to drain the water and reclaim land had failed. 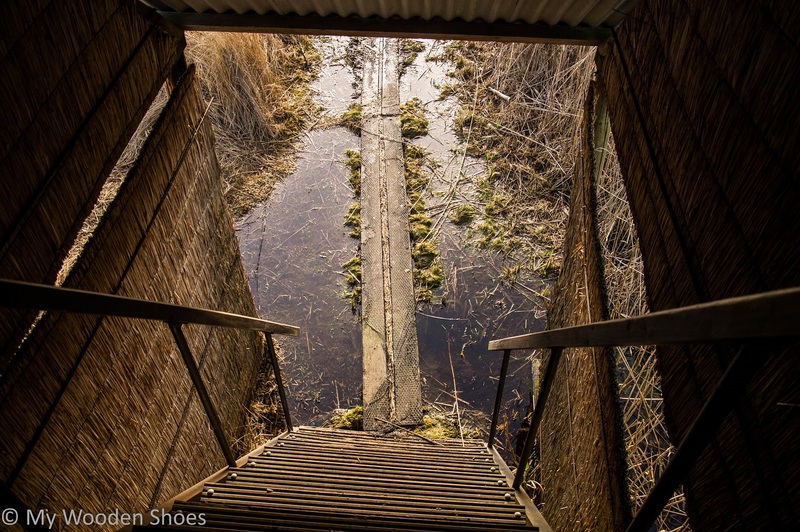 In the early 1900’s, Naardermeer was a proposed landfill site for Amsterdam’s waste. Two nature lovers decided to save it from disappearance and founded a society for conservation of nature: Natuurmonumenten. This society bought the Naardermeer as the first protected nature reserve in 1906. 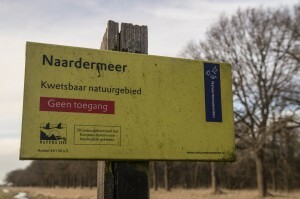 Nowadays, Natuurmonumenten manages over 100,000 hectares of nature as well as many cultural monuments in the Netherlands. The society is an important player in the preservation of the Dutch landscape. The hike called ‘Laarzenpad’ is 6.5 km long, two-thirds of which passes through soggy pastures and marshlands and the last two kilometers are easy walking on paved road. ‘Laarzen’ in Dutch means boots, just a suggestion when it comes to suitable footwear. 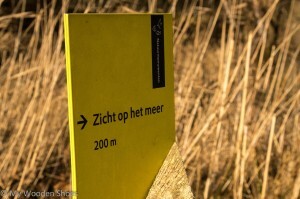 The start of the hike is a 15 minutes walk from the Naarden-Bussum railway station. Along the way you will already encounter interesting details of the area’s history. Notice the houses made of wood in the street Verlengde Fortlaan and the two fortresses. In the 19th century Dutch law demanded that houses in a circle of 300 and 600 meter around the fortresses be constructed of wood. In times of war the houses could be quickly removed. Once you’ve entered the nature reserve at the gate with two picnic benches next to it, try to spot silver herons, spoonbills, cormorants and many other bird species. Look closely along the shores for grass snakes. 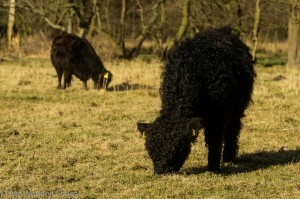 Beautiful Galloway cows graze in the area, maintaining the vegetation. Their meat is being sold as wilderness meat. 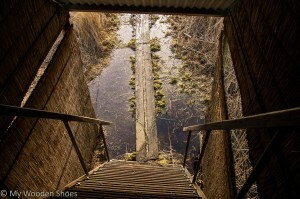 For about two kilometers the route follows a plank foothpath, keeping your feet dry. Next, you’ll pass boggy grassland with wide views of the polder. 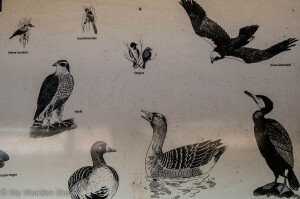 Twice along the track there is a small detour to a bird watching hut. Make sure to walk these few extra metres! The huts provide the only views you will have on the lakes along this route. 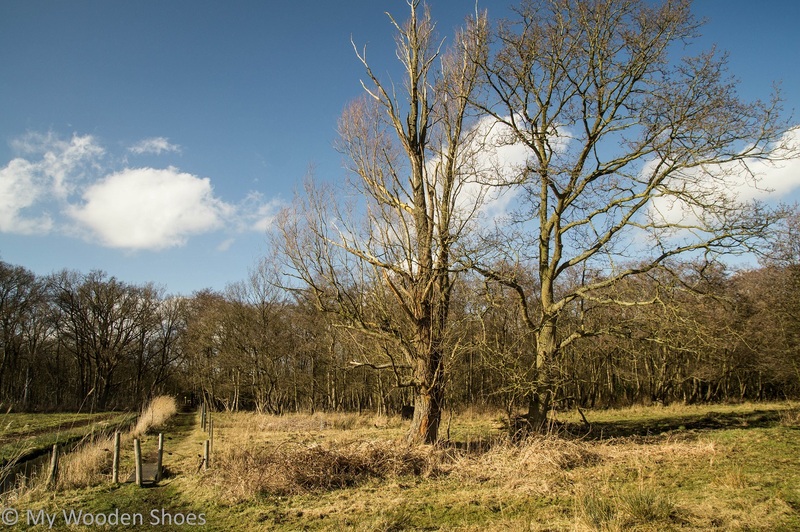 If this short hike isn’t enough and you prefer to see more of the Naardermeer and surrounding area, including the windmill, try this long hike (19,5 km), which passes along part of the Laarzenpad. In summer season there are several boat tours on the lake starting from Gasterij Stadzigt (Meerkade 2, Naarden, Google co-ordinates: 52.292221, 5.142178), please call (+31)(0)35-6948383. Address: Stationsweg 3, Bussum (52.280972, 5.157026). 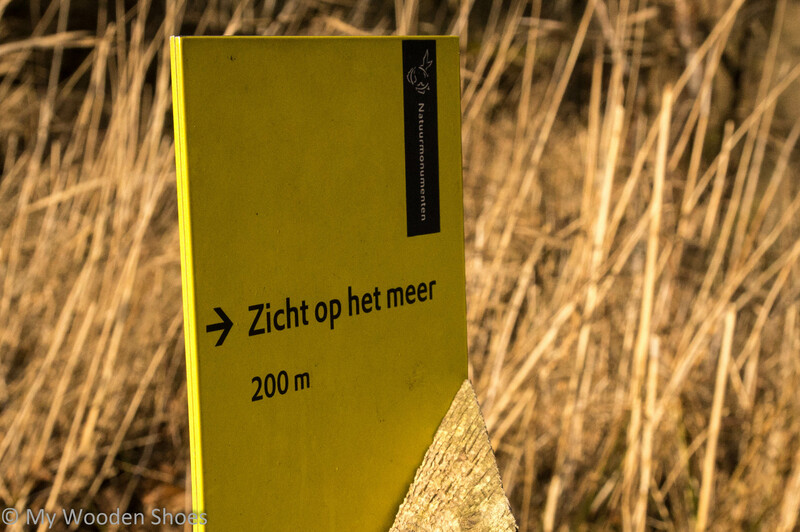 More info: tourist information Gooi & Vecht, or call Gasterij Stadzigt (+31)(0)35-6948383, dogs are not allowed. 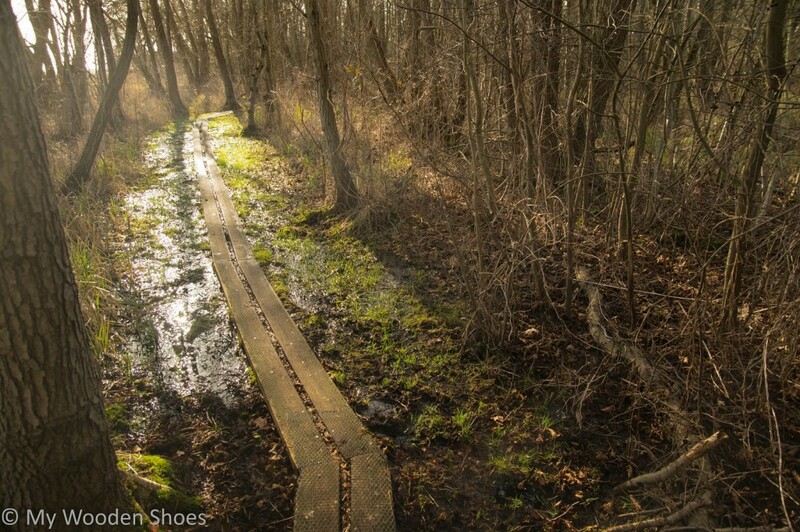 Bring: boots or waterproof shoes, binoculars, DEET (in spring time).